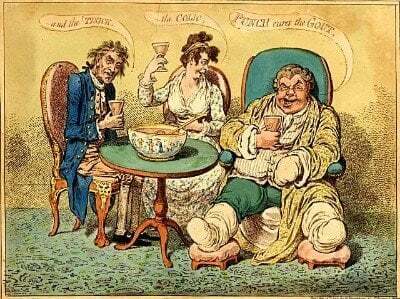 Should I Walk with Gout is a summary of my experience of walking with gouty feet. Also, I review recent studies of gout sufferers and walking. Next, I recommend how you should assess if walking is good for your gout. Finally, I remind you how to control gout pain so that you are able to walk during acute flares. I wrote Should I Walk with Gout for all gout sufferers who are concerned about gentle exercise. Because we know that exercise is good for gout. Yet many gout sufferers are advised to rest gout-affected joints. Also, many wonder how it is possible to walk when you are in agony from gout. So, this article helps you know if you should walk with gout. Then I explain the best way to get walking on your gouty feet. I have always enjoyed walking. So before I got my uric acid safe, I found it very hard to walk with gout. Because my most common gouty joint in the early days was my ankle. I believe that happened because my job entailed prolonged driving. So my ankles were often the lowest part of my body in the coldest part of my car. Foot and ankle gout often made me walk badly. Besides walking being painful, I noticed that limping often caused discomfort in my knees and back. At first I gave in to the pain. So I often rested for 2 or 3 days until I found walking easier. On days I was forced to work, I noticed that my gout pain resolved quicker. As I learned more about gout I realized, for me, it was best to use prescription-strength pain relief. Because that got me walking as soon as possible. After walking with gout many times I realized that solid supporting shoes are vital. Because flimsy footwear doesn’t support gouty feet properly. Then that encourages more pain and more damaging limping. Also, I found it better to wear slightly larger walking shoes padded with extra socks. In later discussions with other gout sufferers, some have agreed with my “Walk with Gout ASAP” approach. But others have found that resting gouty feet and ankles gives them less pain. So to help you work out what’s best for you, let’s look at the science of gout walking. Now I review 3 walking with gout studies. But note these are brief reviews that just highlight certain key points. Because each case has to be investigated individually. Study 1 confirms walking is much harder for gout sufferers. In conclusion, the foot is frequently affected by acute gout flares. Patients with acute gout flares experience severe foot pain, impairment, and disability. Also, it introduces the idea that footwear might play a part in making walking with gout easier. Which agrees with my own gouty walking experience. Study 2 expresses the idea that mobility is important. The non-pharmacological management goals for people with foot-related rheumatic diseases are pain management, preservation of foot function, and patient mobility. One of the therapeutic components that may achieve these goals is footwear. Also, it describes several factors that influence walking with gout. Ease of putting on and taking off the shoe. Midsole system to control motion. Gel cushioning in the heel and forefoot regions to improve shock attenuation. 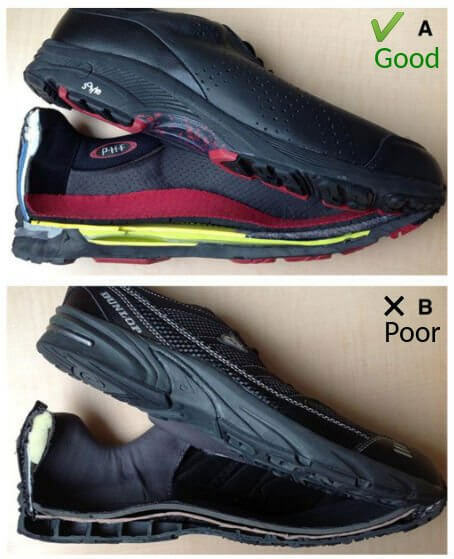 […] shoes that have softer outsoles and midsoles, or insoles that use elements of gel, foamed polyurethane or air chambers can smooth (low pass filter) the shock wave associated with foot-strike. Unfortunately, I could not find studies that investigate if it is better to walk or to rest when you have gout in your feet. However, the fact that these investigations have taken place is an indication that walking is harmless and useful. But, you should discuss the reports with your doctor to see if you should rest or walk with gout. So we see from those studies that rheumatologists recommend keeping mobile during gout. But how do we do that if gout is so bad we can’t walk? The answer is to find the right combination of gout pain treatments to allow you to walk. Note that you usually need more than a single pain relief drug. Because different drugs work on different aspects of gout pain. So you should work with your doctor to find the best combination of pain relief for your gout. However, if your doctor advises no walking, you should focus on uric acid treatment. Then you can read the rest of this article when your doctor advises you to start exercising again. Is Walking Good for Gout? As I mentioned earlier, I found that walking helped my gout. But even though your doctor has agreed walking is OK for you, you must still be careful. Because you might be one of the people who find it better to rest your gouty joints. So be prepared to put walking on hold until you’ve fully recovered from your gout attack. Specifically, you should keep a daily gout journal. Then you can record how much you walked. Together with your gout symptoms each day. Because that allows you and your doctor to be certain that walking is helping your gout. So if you use the gout forum to post your journal, you can also get advice from fellow gout sufferers. You need to adapt the details of your gout walking plan to match your individual circumstances. So here is a framework to ensure you get a walking plan that is safe for your gout. Keep a daily journal of walking distance and gout symptoms. Discuss your walking plan with your doctor. Make sure you are confident with your gout pain combo. Get good gout walking shoes. Walking on gouty feet is easier if you get personal help. So are you still asking “should I walk with gout”? Then please discuss your gout walking plans in the forum. Rome, Keith, Mike Frecklington, Peter McNair, Peter Gow, and Nicola Dalbeth. “Foot pain, impairment, and disability in patients with acute gout flares: a prospective observational study.” Arthritis care & research 64, no. 3 (2012): 384-388. Gout Makes Walking Difficult PDF. Rome, Keith, Sarah Stewart, Alain C. Vandal, Peter Gow, Peter McNair, and Nicola Dalbeth. “The effects of commercially available footwear on foot pain and disability in people with gout: a pilot study.” BMC musculoskeletal disorders 14, no. 1 (2013): 278. Walking is Important for Gout PDF. Stewart, Sarah, Nicola Dalbeth, Peter McNair, Priya Parmar, Peter Gow, and Keith Rome. “The effect of good and poor walking shoe characteristics on plantar pressure and gait in people with gout.” Clinical Biomechanics 29, no. 10 (2014): 1158-1163. Good Shoes Help Gout Walking PDF.